For most people, taxes can be a stressful, confusing and unpleasant subject to discuss. This makes the Internal Revenue Service (IRS) one of the more unpopular and mystifying government agencies in the U.S. However, taking the time to understand the intricate inner-workings of the IRS can help demystify an extremely important government agency and offer insight into where and how tax dollars are handled. Anyone interested in pursuing a career in taxation might look up to the IRS. It employed approximately 90,820 people annually as of the last official count in 2012, according to US News. It starts at the top with the two President-appointment positions, the Commissioner of Internal Revenue and Chief Counsel. The appointment, of course, has to be approved by the U.S. Senate. The Senate can also offer advice to the President on who he appoints to the positions. The Commissioner serves a five-year term that is renewable, and the Chief Counsel provides legal advice to the agency. The agency processes approximately 240 million tax returns on an annual basis and collects close to $3 trillion in taxes (the total can vary from year-to-year). The IRS Oversight Board is made up of nine members, and their job is to ensure that the IRS is treating taxpayers fairly. The board reviews and approves policies and procedures for compliance. In essence, the board “audits” the auditors. The board is also responsible for reviewing and approving the agency’s budget requests. However, the board is currently dormant as six of the nine member seats are open awaiting official nominations from the President. Finally, the Criminal Investigation (CI) division investigates tax fraud and violations of the tax laws. While the IRS headquarters is located in Washington, D.C., other offices exist in select cities across the country. Document Matching – This happens when certain records or pay claims don’t match the information provided on tax forms. Related Examinations – This happens when certain returns are selected because they are involved with issues or transactions with other taxpayers, like a business, whose returns were selected for audit. An audit is an examination of the individual or business’s tax records to ensure that all of the reported information is correct and all taxes are accounted for. Just because a person or entity undergoes an audit does not necessarily mean that the IRS suspects them of a tax violation. An audit can simply be a check for accuracy. If you are audited, you will receive a notification by mail or phone. You will be provided with a request for any specific documents needed. For more information about the auditing process, visit the IRS webpage. Granting an Extension – The IRS can grant an extension for up to 120 days, though interest will still be due. Creating an Installment Agreement – The IRS works with you to create a plan to pay your taxes in monthly installments. Delaying Collection – The IRS may choose to delay collection until your financial condition improves. Offering in Compromise – You may be able to settle the amount you owe for an amount less than what is owed; however the criteria for this option is strict. 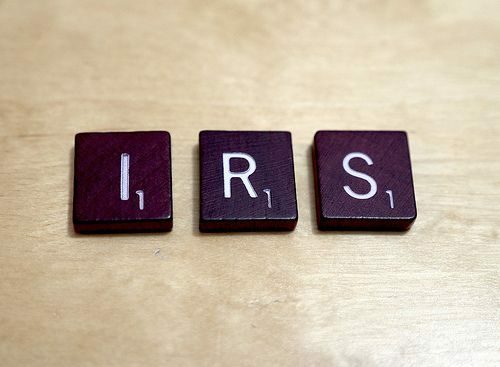 The IRS recommends that you pay what you owe as quickly as possible, so that you avoid further financial difficulty down the line, including interest and penalties. Although if you cannot fully pay what you owe on time, the IRS is ready to work with you to ensure that the taxes are collected as soon as possible in a way that works for you and the government.